Map of the Western States. Ind., Ill., Mo., Ohio, Ky, Tenn.
Delaware, Illinois, Indiana, Iowa ... North Carolina ... Tennessee, Virginia. The Western Parts of Virginia, Pennsylvania, Maryland and North Carolina. County map of the State of Illinois ; Plan of Chicago [inset]. 151. Centers farm, agricultural products, population, manufactures. 126. Centers of population, farms, agricultural products, manufactures 1790-1900. Map of the Back Settlements. Western States. (with) inset map of Upper Michigan. 1 : 3000000 Smiley, Thomas T.
County map of Ohio and Indiana. Upper Territories of the United States. 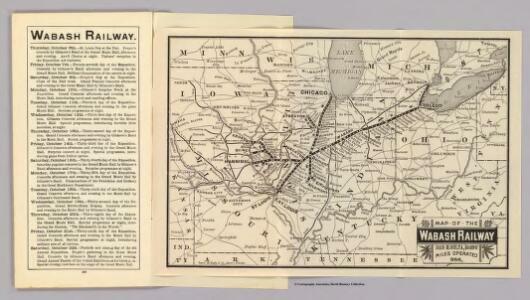 Map Pittsburgh & Western Railway Co.
Map of the States Of Ohio Indiana & Illinois And Part Of Michigan Territory. Ohio, Indiana, Kentucky, and Tennessee. Soil Map of the United States, Section 7. Atlas of American Agriculture. Upper Territories of the the United States. 1 : 5900000 Lucas, Fielding Jr.
County map of the States of Iowa and Missouri. from Mitchell's new general atlas, containing maps of the various countries of the world, plans of cities, etc., embraced in fifty-three quarto maps., forming a series of eighty four maps and plans, together with valuable statistical tables.